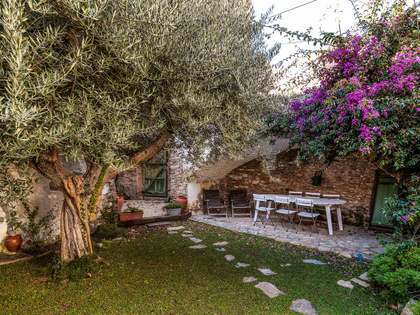 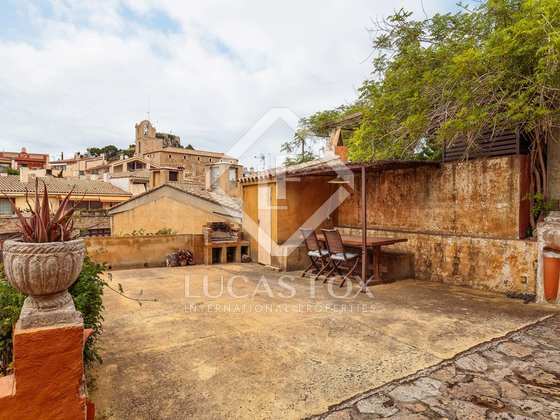 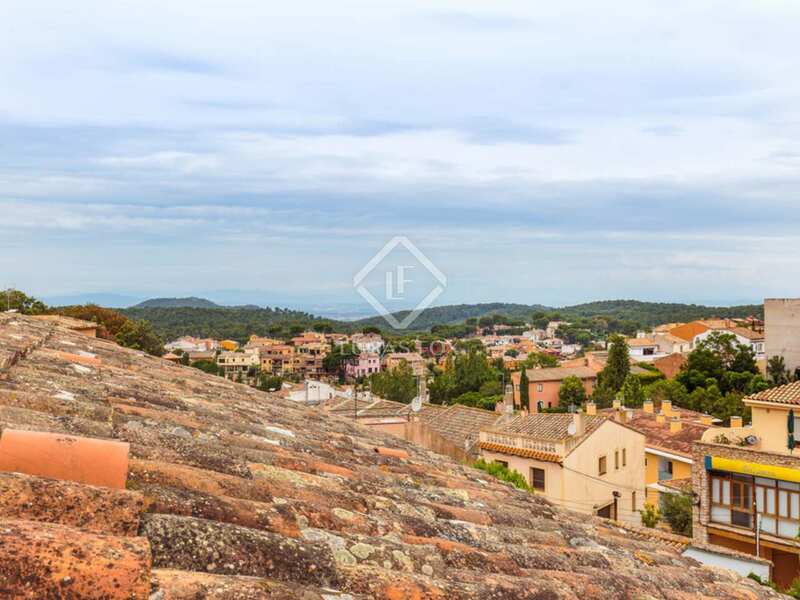 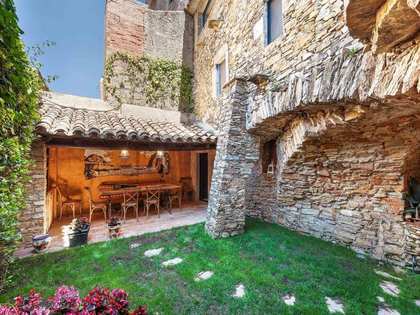 Gorgeous traditional townhouse with a pretty private patio, charming rustic style interiors and picturesque views over Begur church and old town. 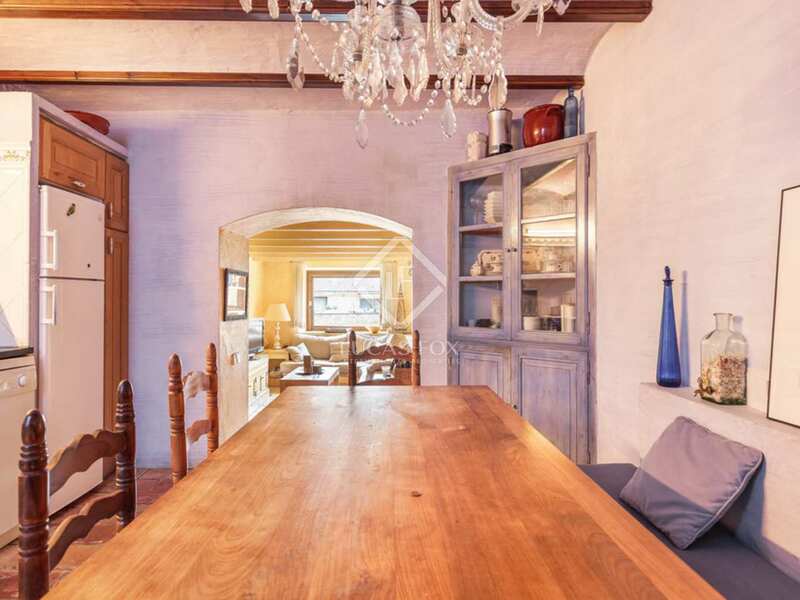 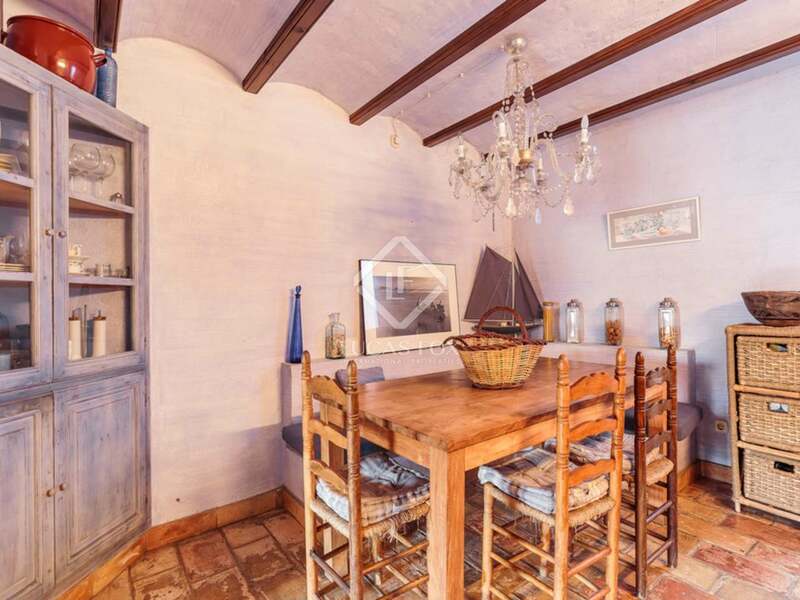 Authentic 1920's Begur townhouse of 155 m² with a large rear patio and a parking space right in front of the property along with a storage room and porch with a table and chairs. 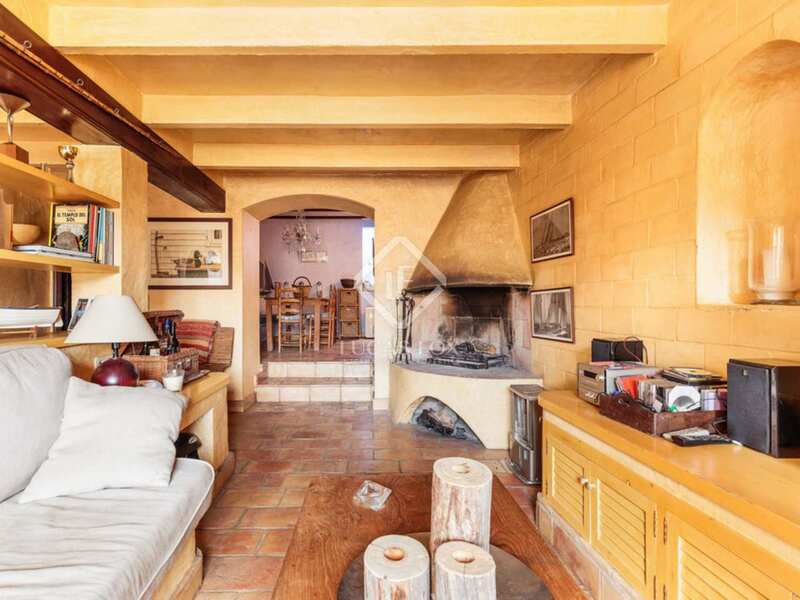 We enter the property on the ground floor which offers a welcoming living room with a fireplace and a kitchen. 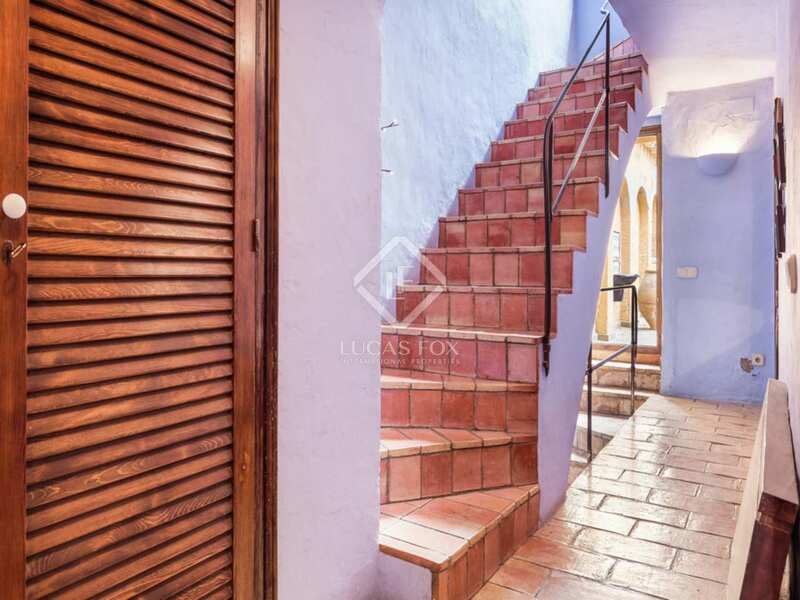 Climbing a few stairs we find the door to the large rear patio with steps up to a higher terrace and a utility area. 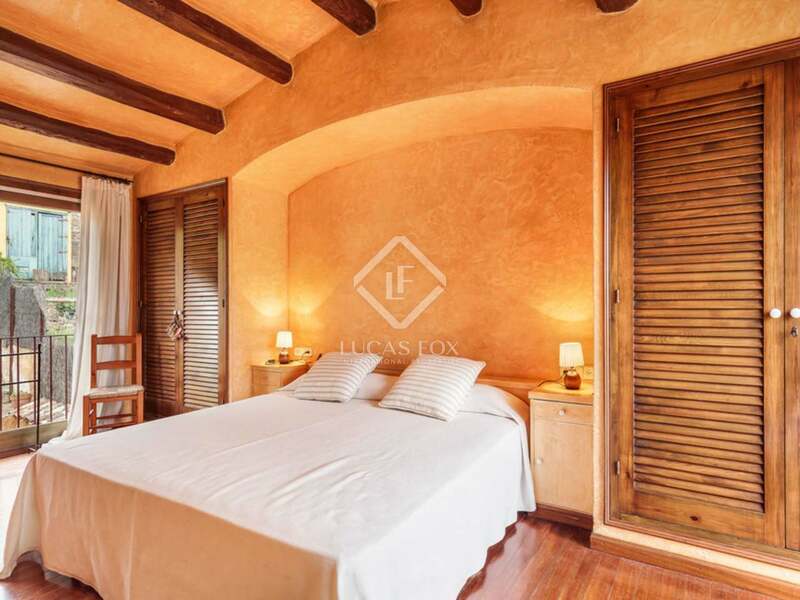 This level also has a large bedroom, a bathroom and 2 smaller bedrooms. 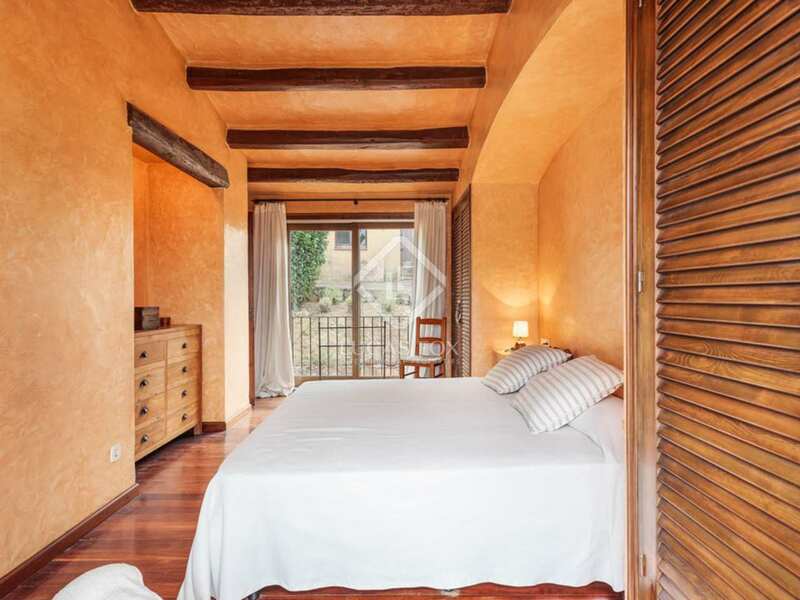 The next floor up accommodates the very large master bedroom with its en-suite bathroom and private terrace with lovely views over the town's rooftops. 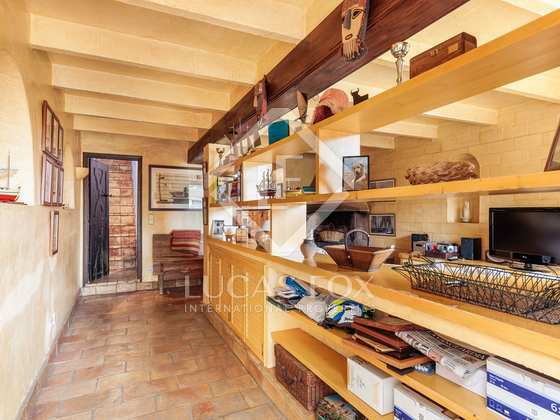 The entire house exudes character and historic charm with its vaulted ceilings, wooden beams and warm colour scheme. 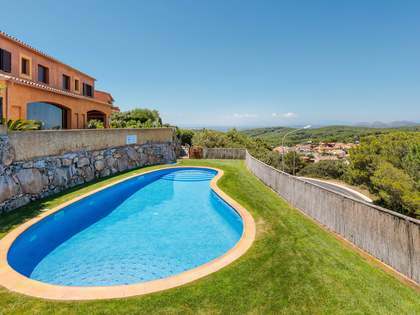 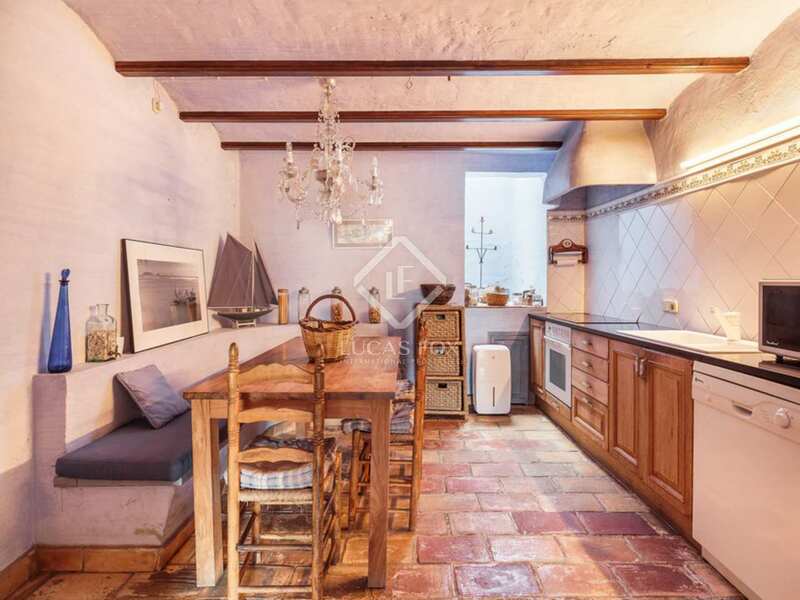 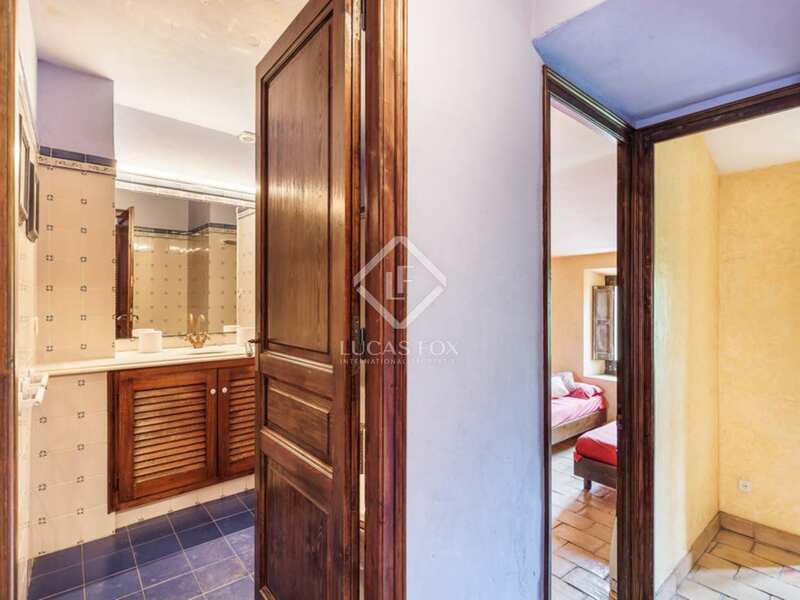 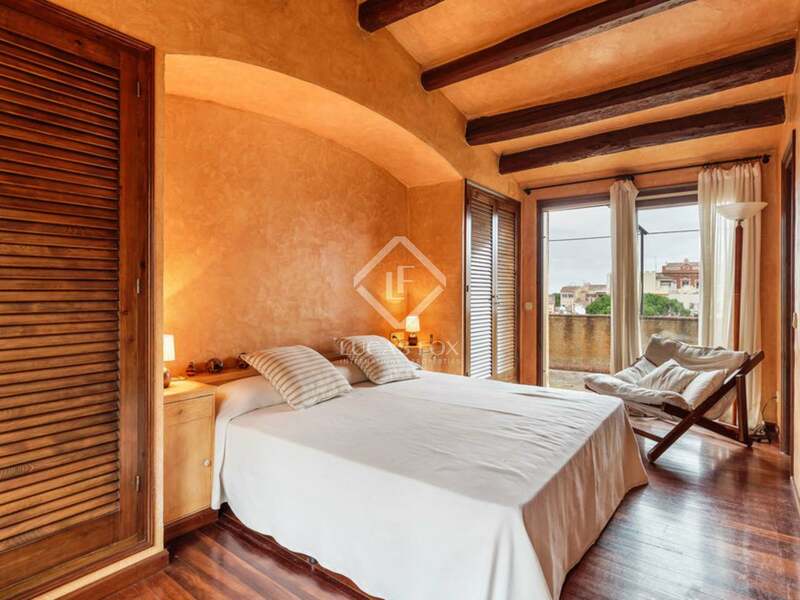 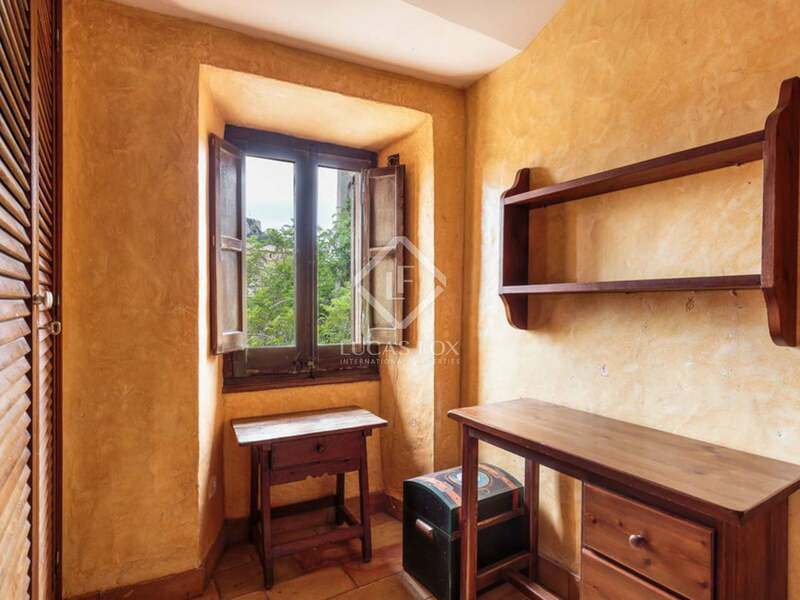 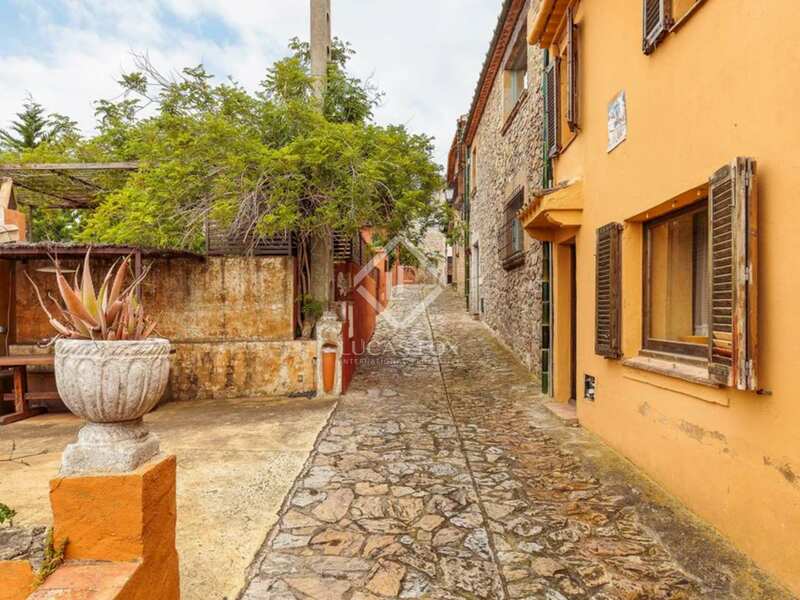 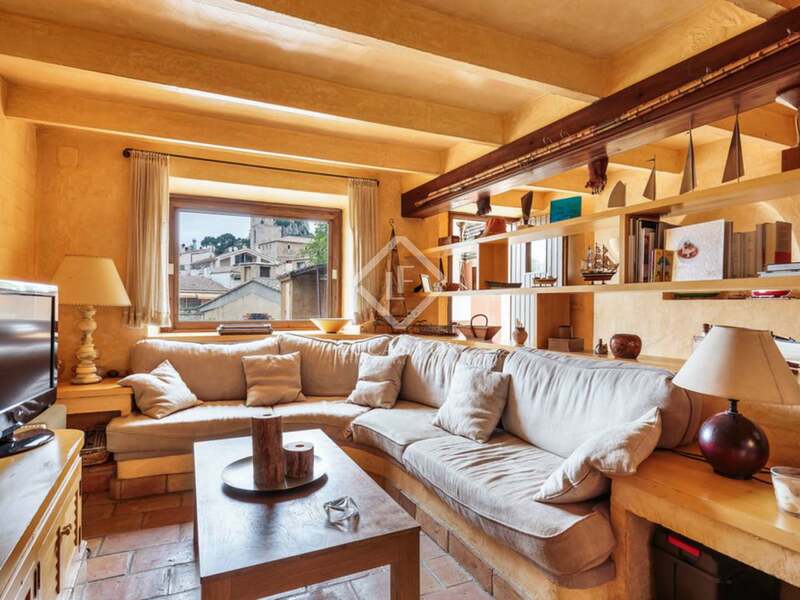 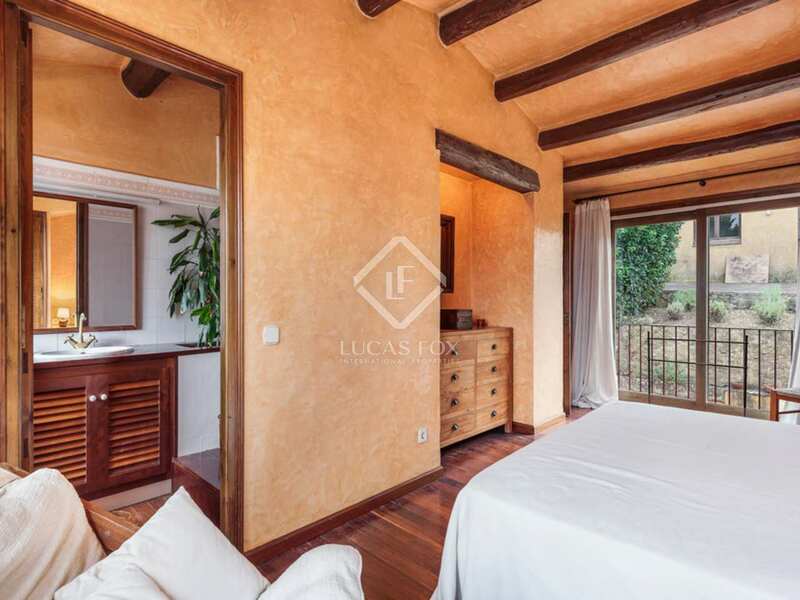 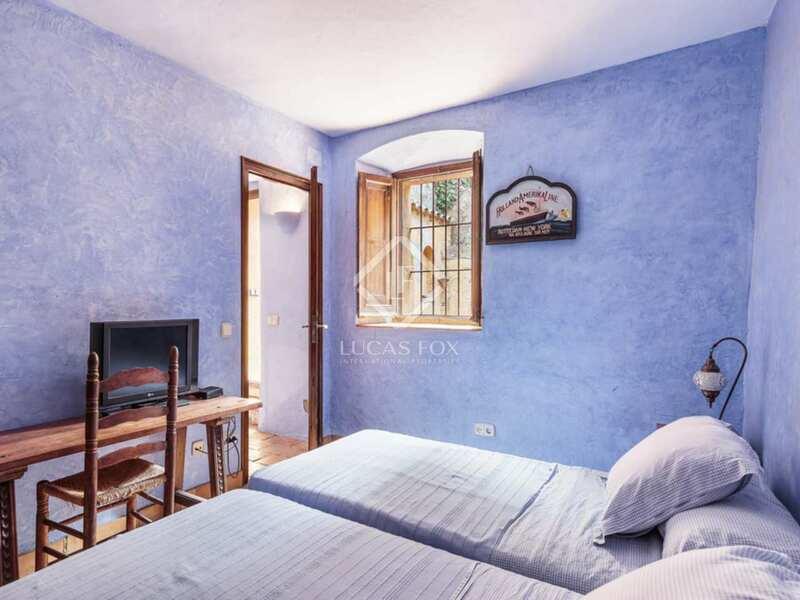 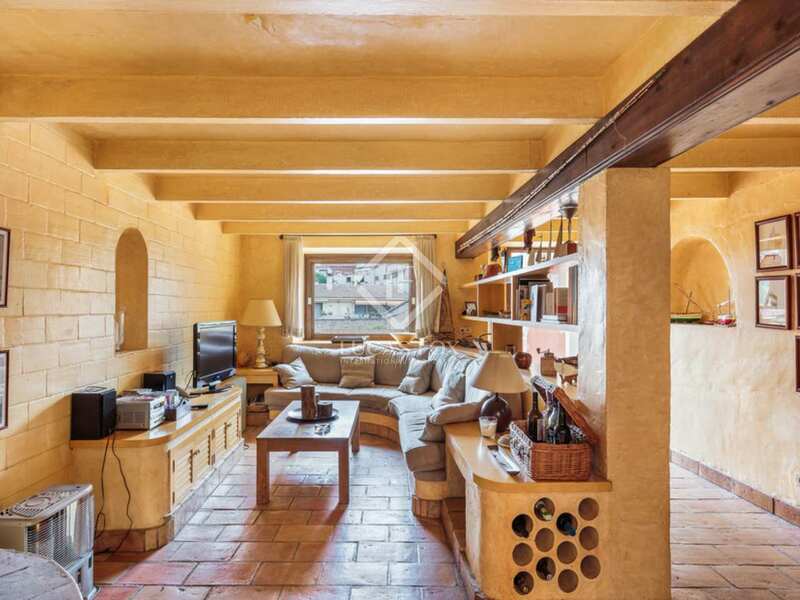 A charming property at the heart of Begur town. 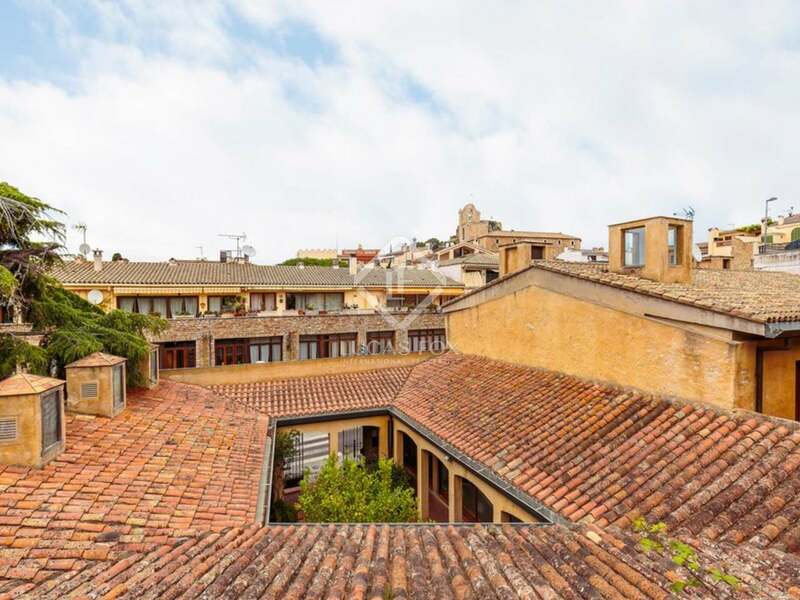 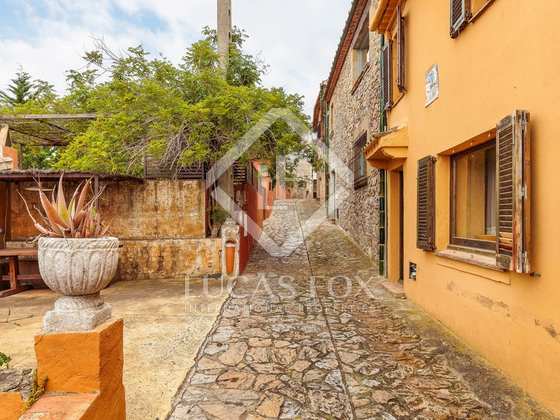 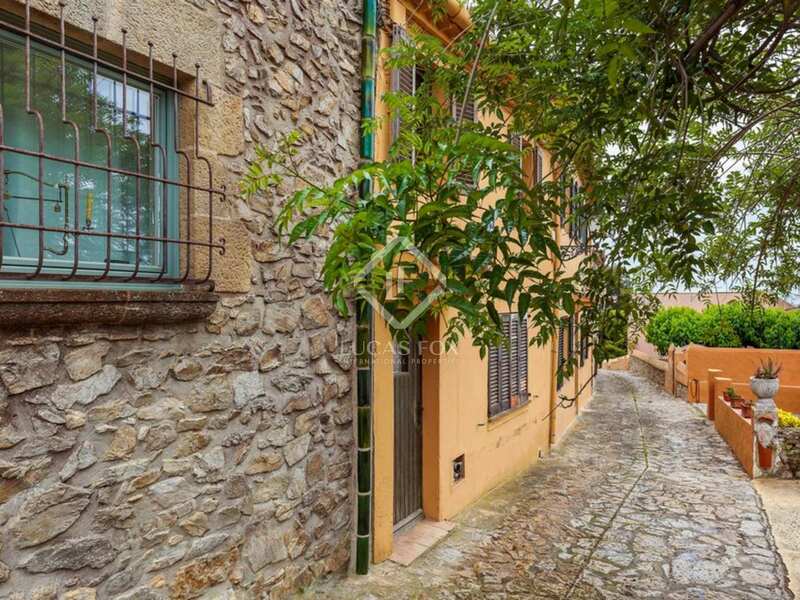 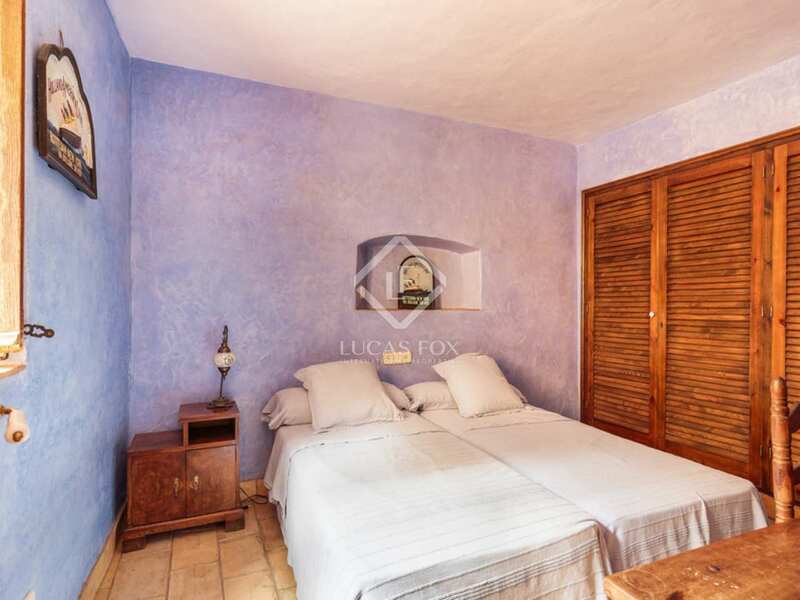 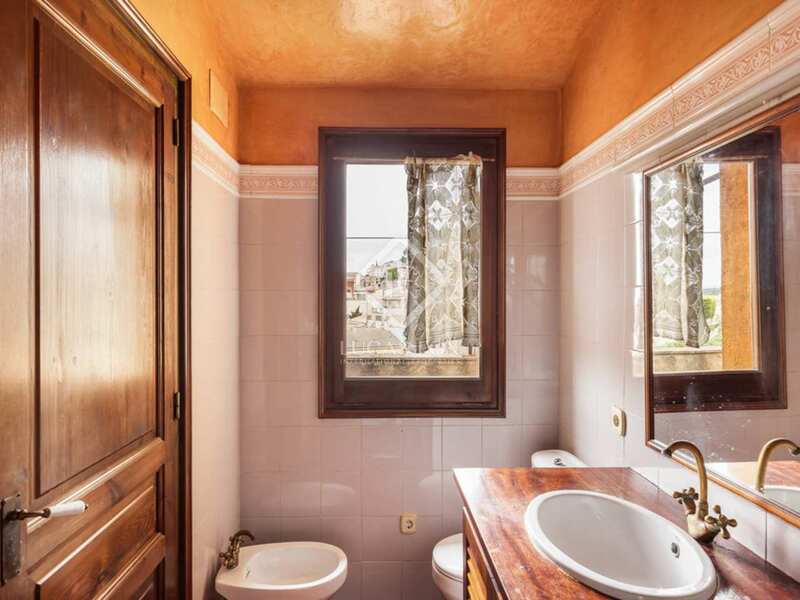 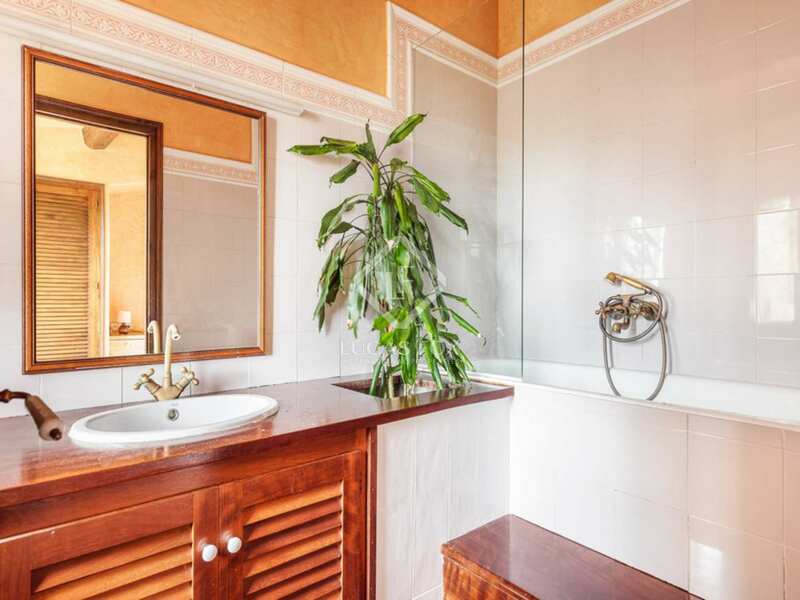 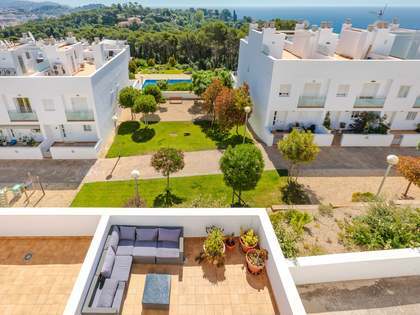 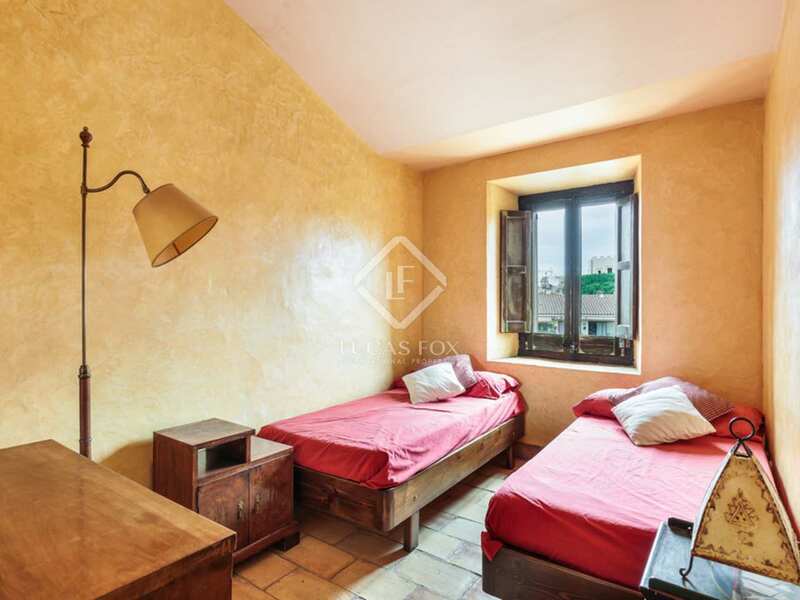 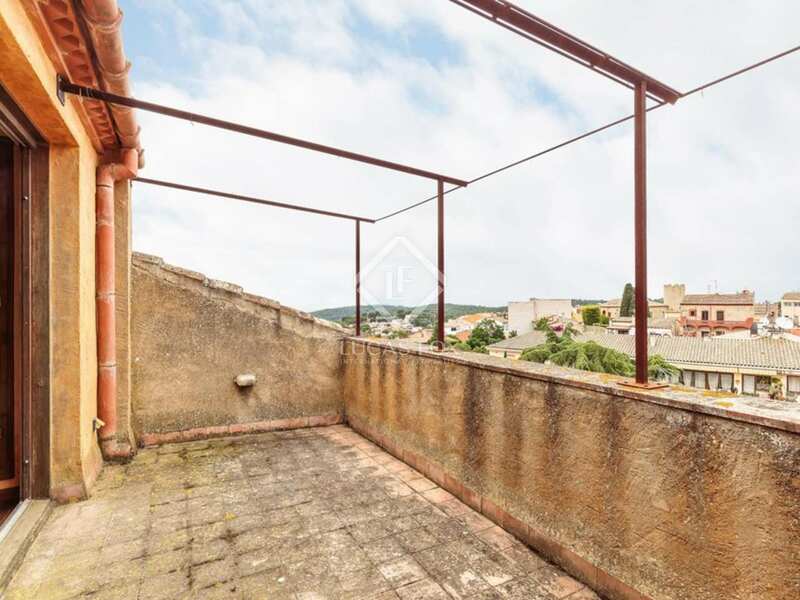 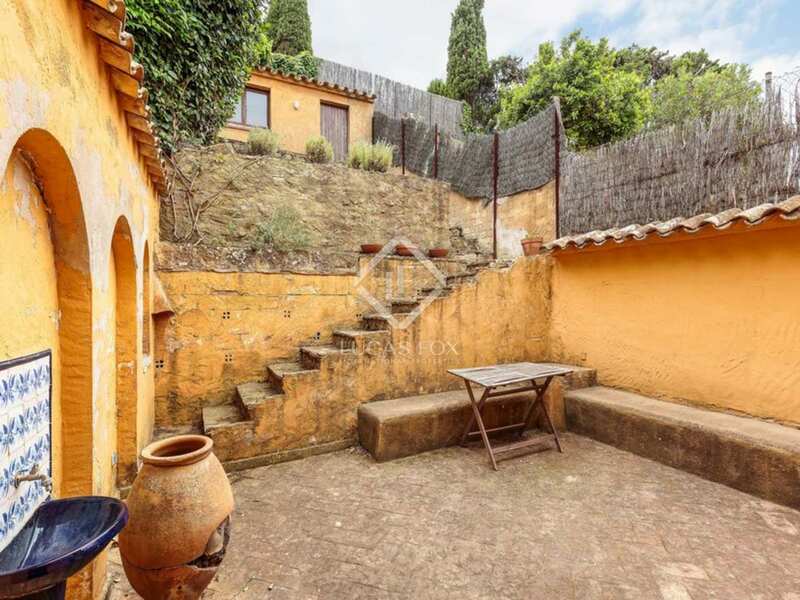 Property located in Begur town centre, on Carrer Alzines, just behind the Tourist Information Office and close to the church and the shops and restaurants of the town centre. 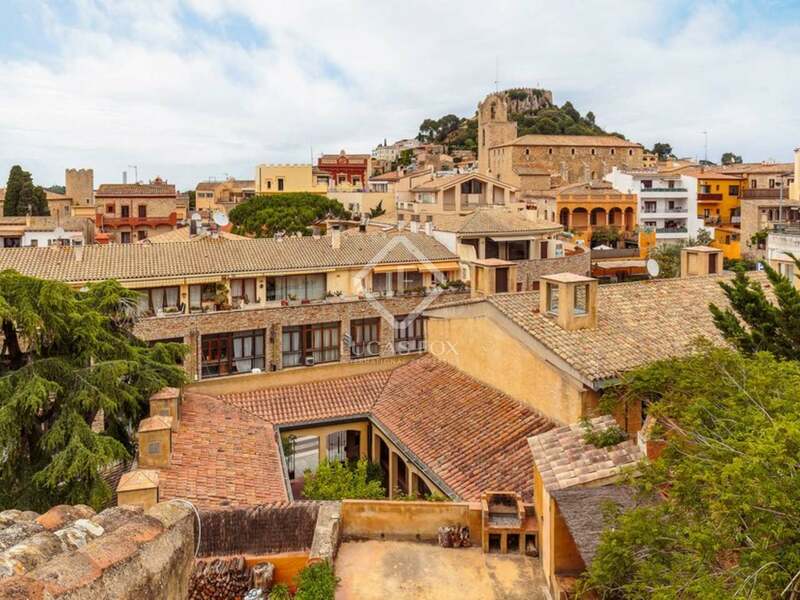 Begur is close to some of the most spectacular beaches on the Costa Brava and is well known among locals and international visitors alike for its authentic charm.